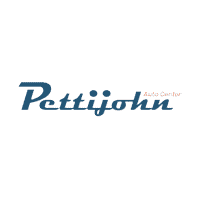 Welcome to Pettijohn Auto Center! As a new and used car dealer in Bethany, MO, we are privileged to serve the Bethany area and surrounding markets. At Pettijohn Auto Center, we understand that high expectations require even higher standards of service. Our sales professionals are equipped with years of knowledge and expertise to help find the right vehicle for your lifestyle as well as your budget. From start to finish, our team will walk with you through the entire car buying process to ensure a seamless transition and premium experience. All good thanks so far. We had a great experience at Pettijohn! Everyone was very friendly and accommodating. Chad helped us find the perfect vehicle for our family of 6. We highly recommend them if you're looking for a used or new vehicle. No hidden fees and best of all if you live locally they offer free pickup and delivery if you need your vehicle serviced by them. And they will even leave you a rental. I found the service to be among the best i have ever received. The staff was knowledgeable of the vehicles i was looking at. They gave me a fair trade so i purchased a vehicle from them in spite of the two hours they are from my home. Very nice company with great people.